Your one-stop shop for reliable marine joystick control systems. Please see our photo gallery below. This Little Harbor 40' was purchased here in the USA and transported to Thunder Beach, Ontario. We installed a new joystick control system with modified jet hydraulics and steerage system. 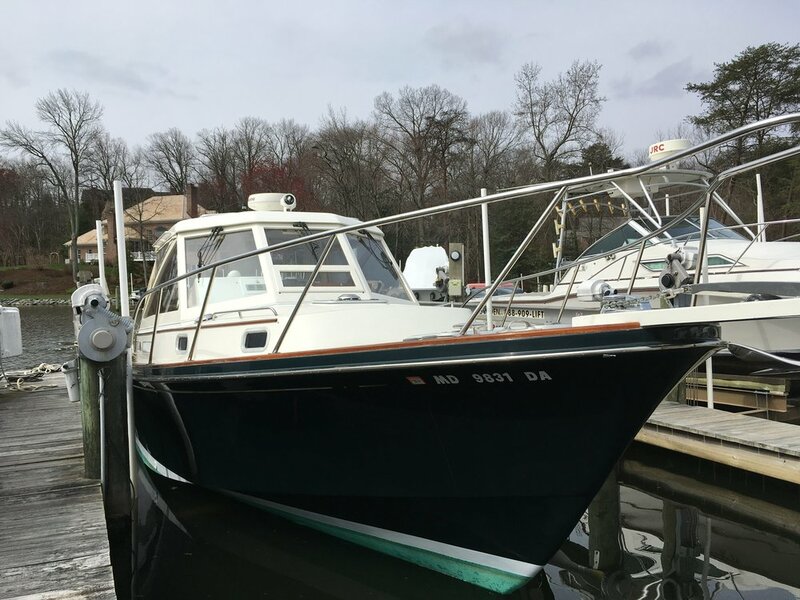 On this 1995 Classic Hinckley 36', in Annapolis, Maryland, we interfaced our control system with a Hamilton 291 jet. This Virginia Beach Fire Department vessel had issues with steering and handling. We designed and installed a new joystick control system. Our systems will never leave you stranded! Our systems are built to military specifications right here in Bangor, Maine, USA. We use the highest quality components, including industrial joysticks. These are not off-the-shelf, but customized for your particular vessel. We can also upgrade or replace joystick control systems installed on Hinckley or Little Harbor jet boats. We installed a joystick control system on this 58’ research vessel in Everett, Washington. We included a feature that enables them to move the boat sideways. Using this feature along with forward and aft maneuvering, allows them to keep the vessel in a certain geographical location while excavating sediment from the seafloor. We provided a direct swap-out of the system controller and new joystick for this Hinckley jet boat near Watch Hill, Rhode Island. We installed a new joystick on this 29' Italian-made wooden vessel being used as tender for the sail yacht, Eos.